A circumcision protester sold fake foreskin sculptures for $1,000 on Kickstarter. 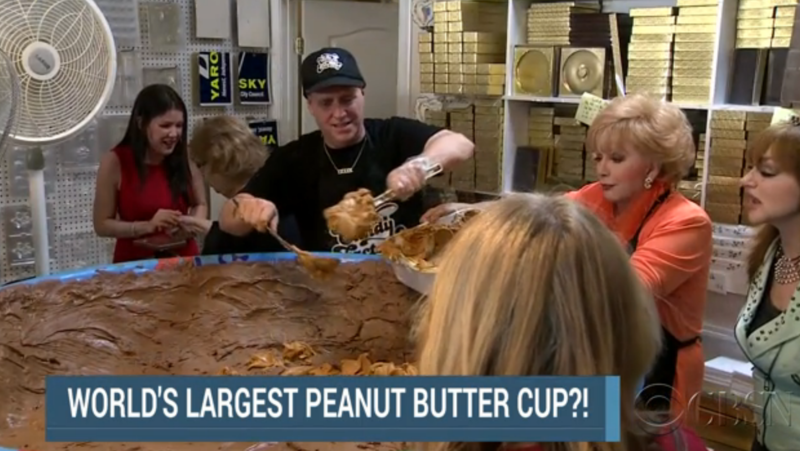 A Los Angeles candy shop made a 440-pound peanut butter cup with the help of Susan Olsen. (That's Cindy from "The Brady Bunch"). A man was reunited with his wallet 35 years after it was stolen, thanks to a good samaritan on Facebook. A patrol trooper pulled over a man riding in the carpool lane with a cardboard cut-out of "The Most Interesting Man" in the passenger seat. A UK police hunt is underway for a man who stole 38 pythons.